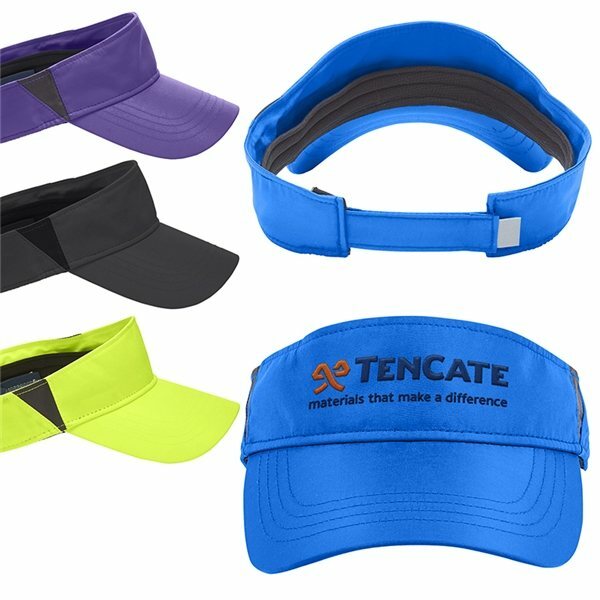 Breathable and sporty performance visor made of 3.1 oz./yd2 / 105 GSM, 100% Polyester Microfiber. Features contrast inserts at side panels. Includes Polyester mesh inner sweatband with moisture-wicking performance.